Two wine enthusiasts/geeks coming over all Jilly Gouldenish whilst sampling the wines from the above mentioned Cave. Followed by much stroking of beards etc. All pretty absurd I hear you say and so it is yet the second comment is not quite as loony as it appears, indeed the Cave in question should be in fact a warning to all buyers as they would certainly not be alone in being guilty off adding all sorts to their wine whilst keeping the customer in blissful ignorance. It’s a fact that under EU laws written by litigators in order to protect against litigation nearly all wine additives have no requirement to be listed on labels. Strange but true! The most common substances added to wine are probably sugar, tartaric acid, potassium carbonate, citric acid, ascorbic acid, cultivated yeasts, enzymes (of which there are hundreds) and of course sulphites, the only product the winery must put on the label. These products are added in an attempt to improve the wines desirability by changing its character, often quite radically and to protect the wine against spoilage. Unfortunately buying Bio certified (organic) wines do not protect the consumer from these additives, as most of them are authorised for use. Now I don’t have a problem with adding something like sulphur dioxide (the sulphites) to a wine to help keep the wine clean and without fault as long as it’s added in minimal doses. I do not agree however that sulphur dioxide should be added liberally in order to correct poor wine making habits and a lack of hygiene. As for adding acid (normally tartaric in powder form), or potassium carbonate to de-acidify, cultivated yeasts to give notes “black current” or “pear drop” or whatever else to the wine, enzymes (yes sometimes extracted from a cow’s liver) that perform all sorts of roles, some necessary but all too often to change the profile of the wine; well let’s just say I’m not a fan. If you pick high quality, healthy fruit from great vineyards at the right time and vinify and blend it correctly, you will produce fruit forward, well balanced wines with no need of adulteration and all the more satisfying for it. I know that “natural wines” (an uncertified wine making philosophy involving winemakers who believe in minimal intervention) get a lot of stick, probably most of it justified for being over priced and quite often a bit fizzy, a little animal or dirty tasting, but at least you know what you will be imbibing is good old fermented grape juice. A lot of the wine additives used today as in the second critique above, the activated carbon, Isinglass (a collagen extracted from the dried swim bladders of fish) and the cow liver enzyme, Catalase are all used to help clarify and stabilise wines and are again, just not necessary. Of course these products will only exist in the wine in minute doses and are completely undetectable aromatically or taste wise, but the application of temperature control in most cases will achieve the same result. Maybe not as sure-fire but I’d rather take the risk and perhaps one day drink a wine with a slight haze and know it’s natural, but on that point I suspect I’m in the minority. A product known as Velcorin, chemically, dimethyl dicarbonate, used to sterilise wine, is so toxic it will burn your skin and is potentially fatal if inhaled. Yes again it’s added in small doses and completely breaks down in the wine, but even so I’d rather not take the risk. So if you can find naturally made wines that are clean, of high quality and affordable, even if there may be a small premium to pay, I think you’re on to a good thing. 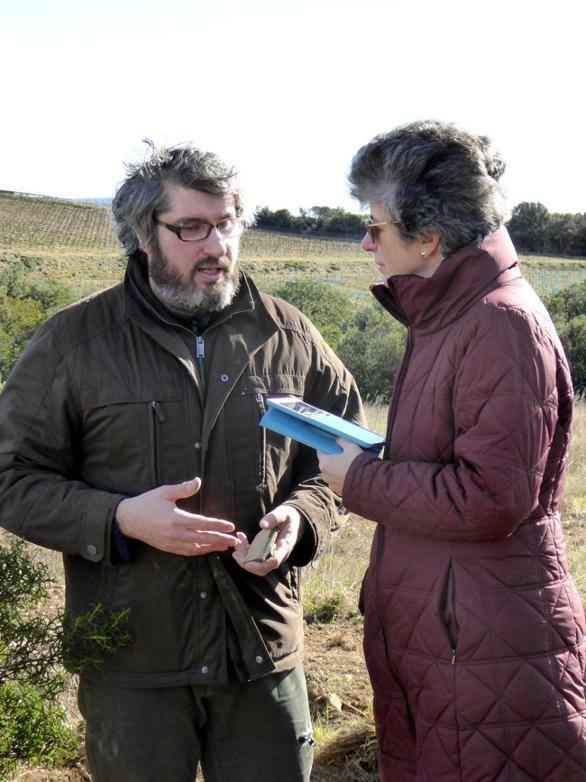 We’re very fortunate here in the Languedoc, as it’s an area that is truly at the heart of global natural wine production. In conclusion, additives that are used to stabilise and protect the wines are often added unnecessarily and is the result of “safety first” winemaking. Not great but perhaps understandable. The trick is, is to work hygienically and only add something to help the wine that is as natural as possible and at the lowest feasible dose when absolutely critical. Products that are added to essentially change the profile of the wine, hide its faults and hoodwink the customer, are in my opinion unacceptable. In both cases these products should certainly be listed on the label in order to help the wine drinking public make an informed purchasing decision. As a self confirmed “natural winemaker” working as sensibly as possible in an attempt to bring “terroir” driven, fruit forward wines to the market I can in no way claims to be impartial on this subject. There are of course, horses for courses and every opinion is valid but at least it would be nice to have some transparency in letting the public know what they have chosen to drink. I have been asked to give a seasonal account of what a winemaker/Vigneron actually does throughout the year when he’s not clogging up the traffic bumping along on his tractor at 15km/h on busy roads. March sees the race to finish the pruning, which has been on-going since mid November of the previous year. At Domaine des Trinités we have approximately 25 hectares of vine, with in total about 100,000 vines to prune in about 4 months. A colossal, repetitive but probably the single most important task of the year. The way in which the vine is pruned will have a profound effect on not only the yield, but also on the timing of bud burst, the shape of the leaf canopy, bunch position and the overall macro-climate within the canopy itself. These factors alone along with the year’s weather have a huge impact on the quantity and most importantly the quality of the fruit we will harvest that year. By the end of March, before the arrival of the delicate buds that can easily be damaged whilst pruning, this marathon should be over. So having made perhaps 1 or 2 million cuts with your lethally sharp electronic secateurs, you’d think that it was perhaps time to kick back and celebrate that the pruning is over for the year and that you have again emerged with all 10 digits intact. Well no, the race is now really on as silly season is truly underway. By April the sap is rising fast, the buds are swelling if not already opening and nature throughout the vineyard is waking up with the vigour and enthusiasm of my eight year old on Christmas day. Time to service your tractor and contemplate the tasks that need to be done and the order they must be addressed. The vine cuttings lying between the rows will need to be collected and burnt or mulched in to the soil, fertilizer, in our case, manure must be spread, ploughing to integrate the manure and control the weeds must then follow. All this time of course, the vine shoots will be growing fast and at the mercy of the Vigneron’s 2 greatest nemeses, powdery (oidium) and downy mildew. As a natural wine domaine that means the organic treatments of sulphur and copper (bouille bordelais) must be sprayed before any primary infection can take hold. So on the few still, fine days at this time of year you will see the vineyards full of tractors racing to protect the vines before the next rains or windy days arrive. April rolls inexorably into May, when the ploughing, spraying and perhaps mowing continue to try and check the voracious growing season and keep a modicum of control in the vineyard. Add to that the need to shape the ever-expanding canopy by making sure the wires are dropped in the trellised vineyards to later lift to gather in the shoots. Also the removal of unwanted shoots and buds in order to thin the canopy, to further control the yield and allow light penetration is vital and most agonisingly of all, the complete removal of the water shoots that tend to sprout from the trunk at ground level. Ouch! If your friendly local Vigneron asks you if you may like to help out with a bit of the charmingly labeled ”bud-rubbing” or “debourgeonner”, don’t say you haven’t been warned. Next time I’ll discuss what we get up to in the summer months in the run up to the harvest, which does not include relaxing by the pool I regret to say!